It is no secret our Paloma belt is our best selling piece. Here she is worn as a head band! We recommend our Brooke earrings if you are a Paloma loving bride. Our Doan earrings and Evie belt were pretty much made for each other. With art deco blush accents this pair makes a great match for a bride looking for something sweet and sparkly. For bohemian beauties our Della tiara is a true statement. 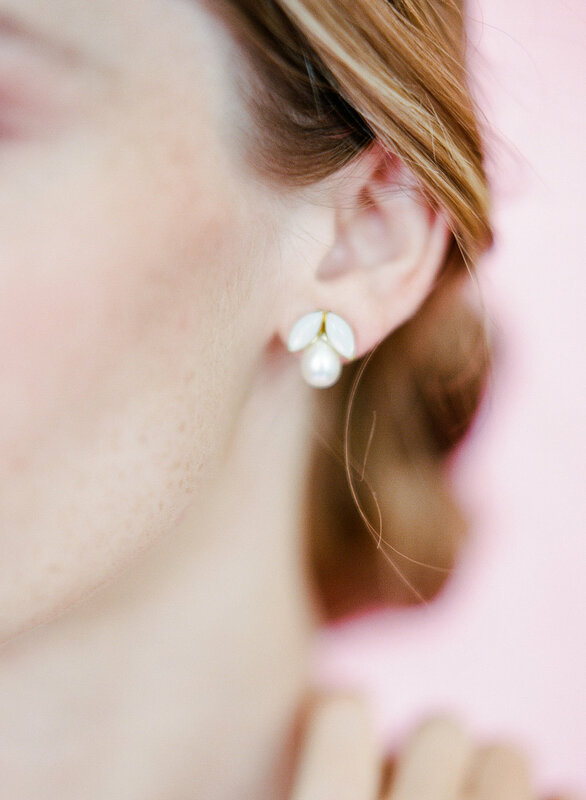 Best paired with subtle but classic Polly earrings - the combination is wedding day ready! 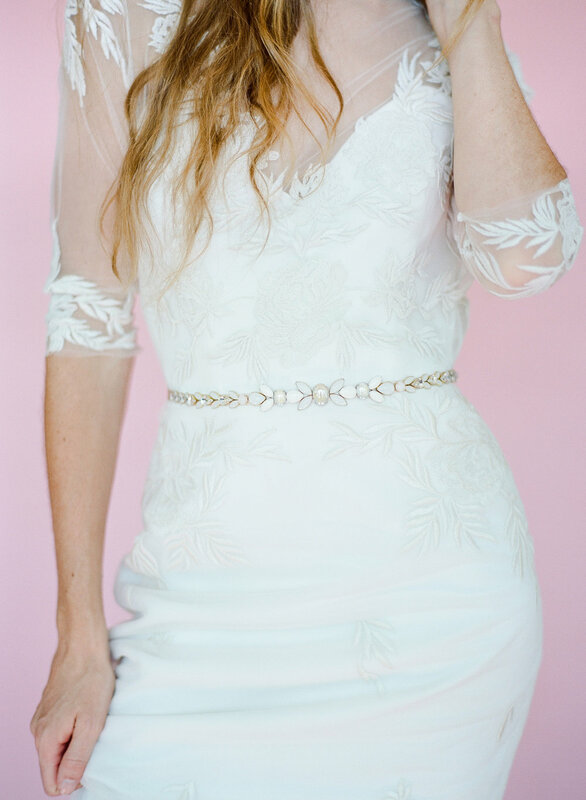 Our Brett belt is another big favorite amongst Hushed Commotion Brides! With her ivory brush stroke beads & crystal accents, she compliments our Alma earrings flawlessly. We always get excited when brides come looking for those special touches of color! 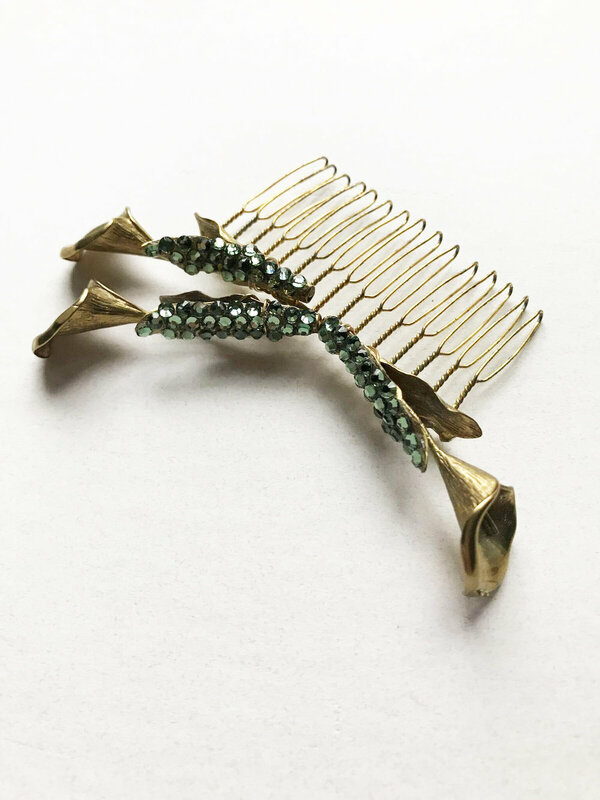 Our Brie comb in gold & green crystal paired with our Lexi earrings is such a fun and unexpected duo but makes for a subtly perfect pop of color. Announcing our pairs discount! When you buy two or more Hushed Commotion items and enter PAIRS at checkout you receive 10% off!